Anosa Fit Patch is a slimming patch that is made in Taiwan. Anosa slimming patch is also an anti-cellulite patch. It can be fitted on your tummy, back of your thighs for slimming the areas. I have tried using Anosa Fit Patch on my tummy area. It is very easy to use. 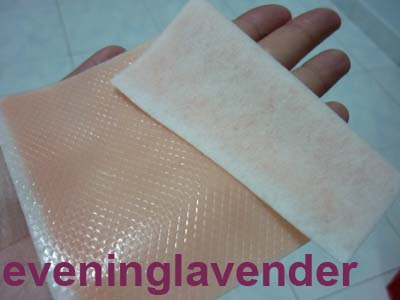 You just need to remove the plastic film from the patch and stick the pink colored surface to your skin. After around 5 to 10 mins, you will feel a warm sensation. It is not a burning sensation but just warm. After a while you will be adjusted to the warm sensation. I cannot testify whether the slim patch can burn away the excess fat because I just tried one time. I used it at night before sleeping and peel it off the next morning. There is no irritation on my skin despite the long hours of use. However, each person’s skin is different. Therefore, it is safer for you to do a patch test before using it. You can cut a small corner and stick it to your skin and test the patch. You can purchase Anosa Fit Patch at all Shills outlet. Hope you will try it.